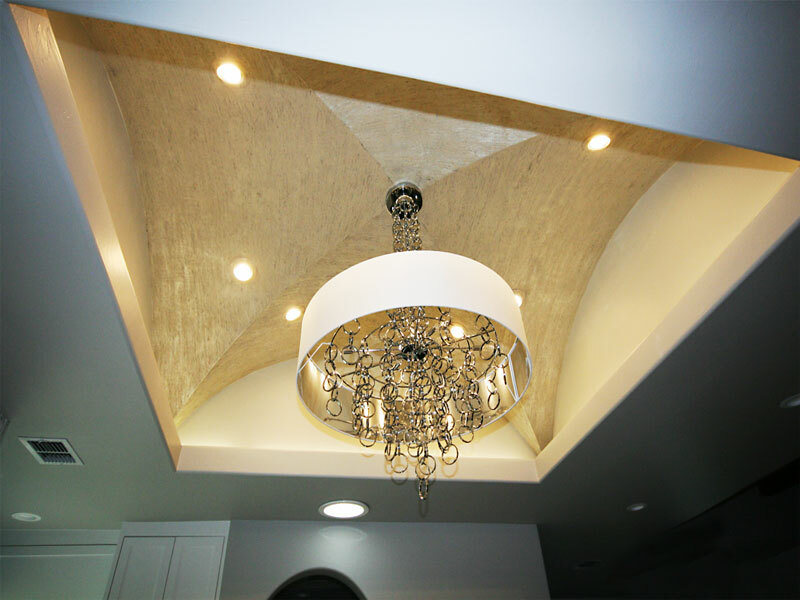 Lighting fixtures that match the scale and style of a room can enhance the feelings for each person who enters that room. 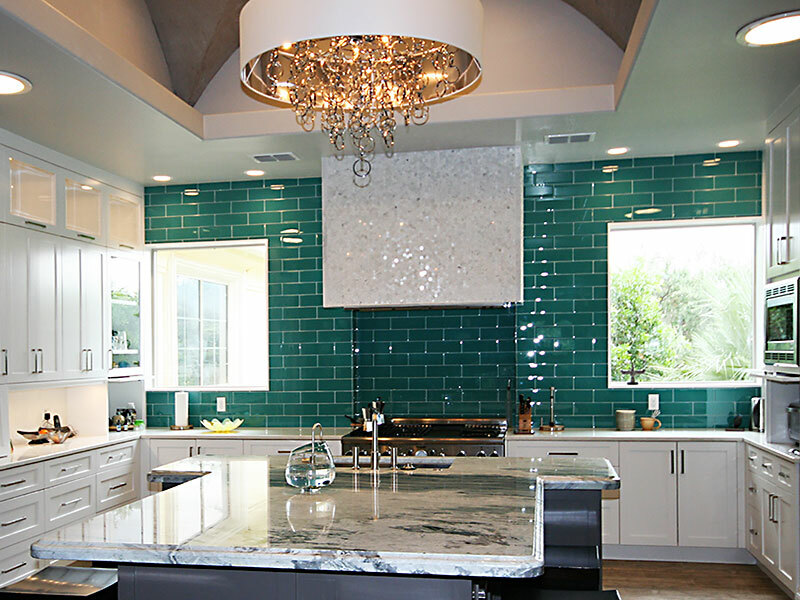 We do a variety of lighting treatments tailored to each homeowner’s vision. 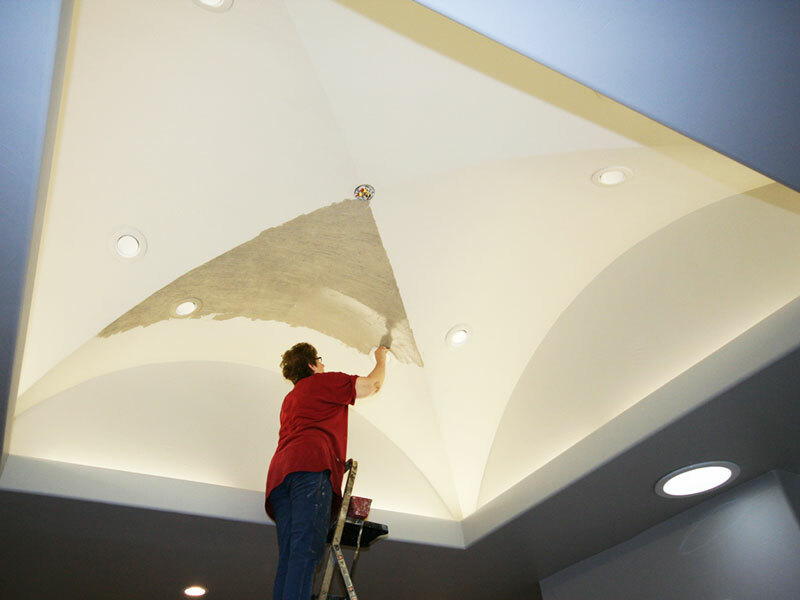 The recessed ceilings in this project were painted by a very talented “specialty painter,” where colors and textures were used to achieve a certain effect when the lighting is on. Light fixtures were specially ordered and hand assembled on site.